As your house shelters you and your family from outside elements, a carport does this for your vehicles. And while it is highly important to seek carports that offer maximum durability and functionality, it is also essential to look for those that provide aesthetic features as well. Every home owner strives to make their home equipped with the facilities needed to make their residential living comfortable. They also equally do their best to make it a beautiful place to live in. Carports should be the same. A roof over your vehicles’ head should not suffice. Here at Regal Patios & Carports we believe a carport can be both a great functional and visual extension of your home. With Regal Patios & Carports our wide selection of powder coated frames can fit any property profile. 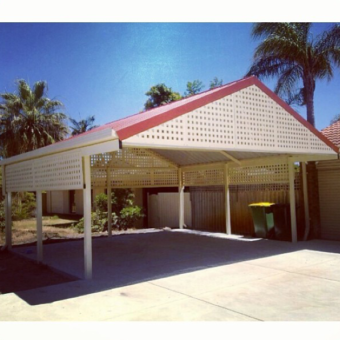 We can even custom-make a carport that’s specifically designed for your home and vehicle. 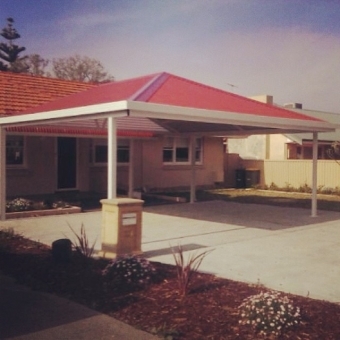 We use powder coated steel tube and colorbond steel roof sheets that will give you a spacious carport you won’t have trouble parking your vehicles in. 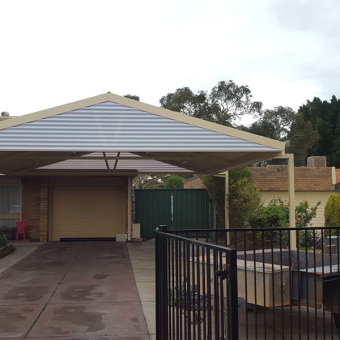 Best of all, our carports made out of colorbond steel are expertly designed and made to give your vehicles extreme protection from weather conditions. The harmful heat from the sun, harsh wind and rain – all these will no longer be a problem you will have to face. With Regal Patios & Carports, your vehicles will be given the maximum protection. 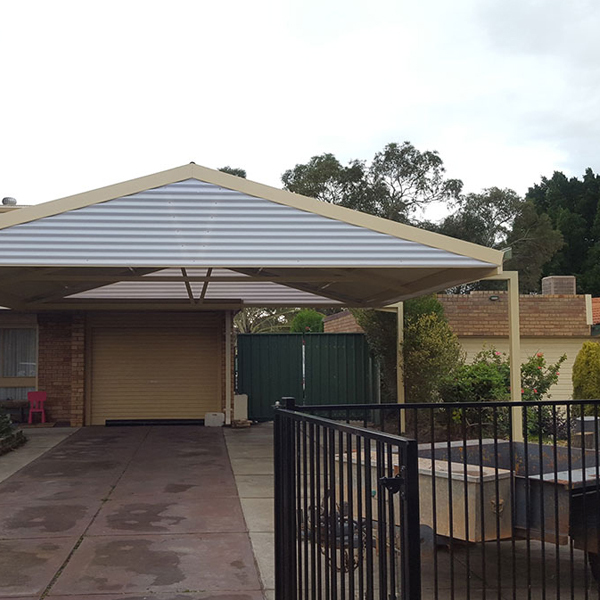 We also don’t just give you a carport that will protect your vehicles from outdoor elements, we also give you one that can become a gorgeous extension of your home. With our highly effective and equally stunning carport installed at your house, this can now match the beauty of your home and your vehicles. 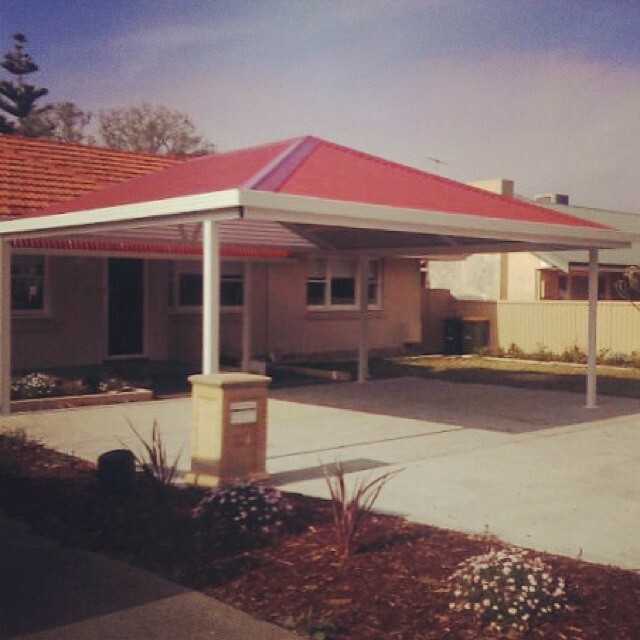 With Regal Patios & Carports you get a reliable, durable, long-lasting and beautiful extension to your home.